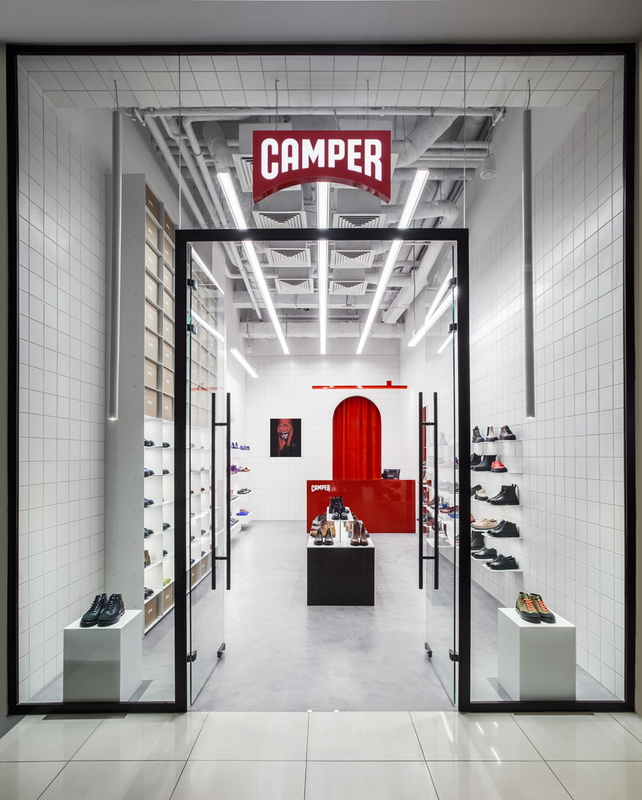 Moscow-based interior and product design studio Asketik has designed a new store for shoe brand Camper as part of its Together project, which sees the brand collaborate with leading designers to create “exclusive products and outstanding stores”. 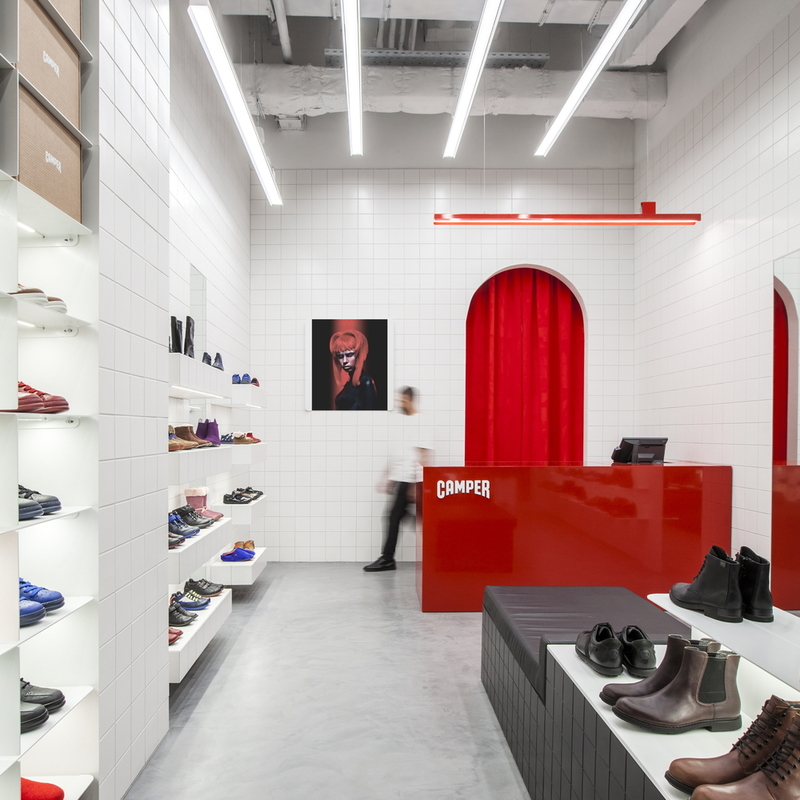 The new Moscow location inside MetropolisMall features a clean, minimalist aesthetic and has been designed with maximum functionality in mind. 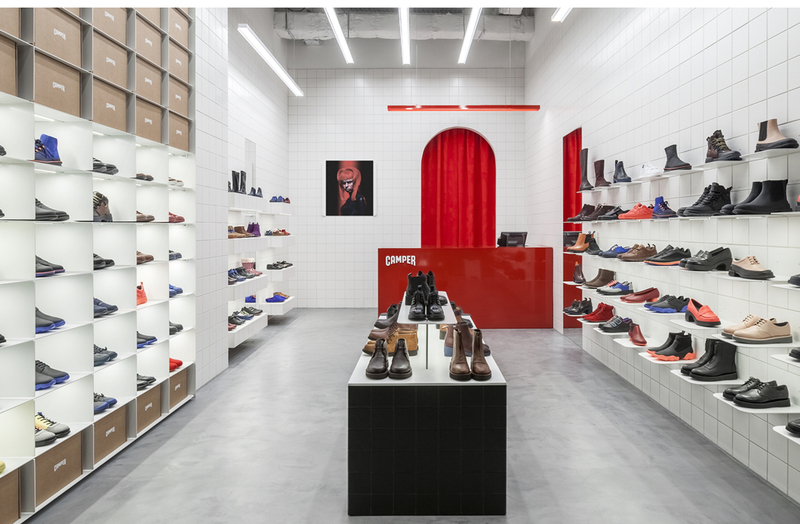 “I wanted to create something that was familiar to Russian people but was also stylish and modern like in Europe,” says Asketik founder Maxim Maximov. Design of the rack-like idea appeared during research of the history of the brand, adds Maximov. 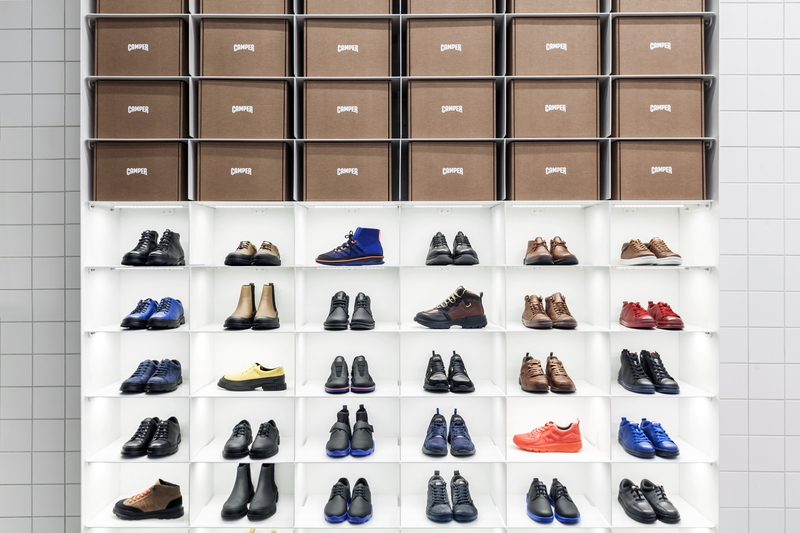 “There was tall shelving with boxes on one of the stocks, which I wanted to scale to our space. By using the tiles from the floor to the ceiling, open ceiling and the high rack I wanted to make a space as big and clear as possible. 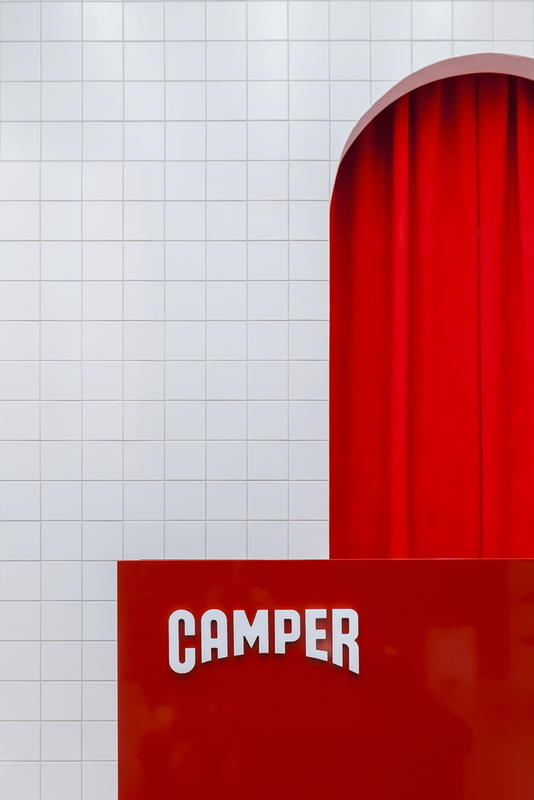 As part of Camper’s Together project, the brand has previously worked with designers including Nendo, Hayon Studio, Miguel Trias and Bernhard Willhelm and Veronique Branquinho.